Reversaderm Enzymatic Detoxifying Mask resurfaces, renourishes and corrects imperfections for a flawless complexion. Reversaderm Enzymatic Detoxifying Mask is a highly effective, super moisturising and smoothing mask, to visibly reduce fine lines and pore size. With an advanced complex of micro-exfoliating enzymes and Glycolic Acid, brightening Vitamin C and antioxidant Resveratrol, to improve hydration and overall tone and texture for a brighter, more radiant complexion. 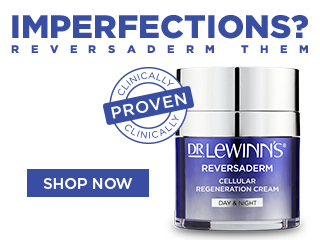 Use weekly or as often as required in place of the Reversaderm Corrective Skin Peel. Cleanse and dry the skin, apply a thin layer of the mask onto your face and under the jaw line. Leave for 15-20 minutes, then rinse thoroughly with warm water. A light tingling sensation may occur as the enzymes take action. Remove immediately if the sensation becomes uncomfortable. Recommended for dull, uneven, sun-damaged and acne-scarred skin. To complete your skincare regime: Follow with Reversaderm Collagen Accelerator Serum or Reversaderm Cellular Regeneration Cream.